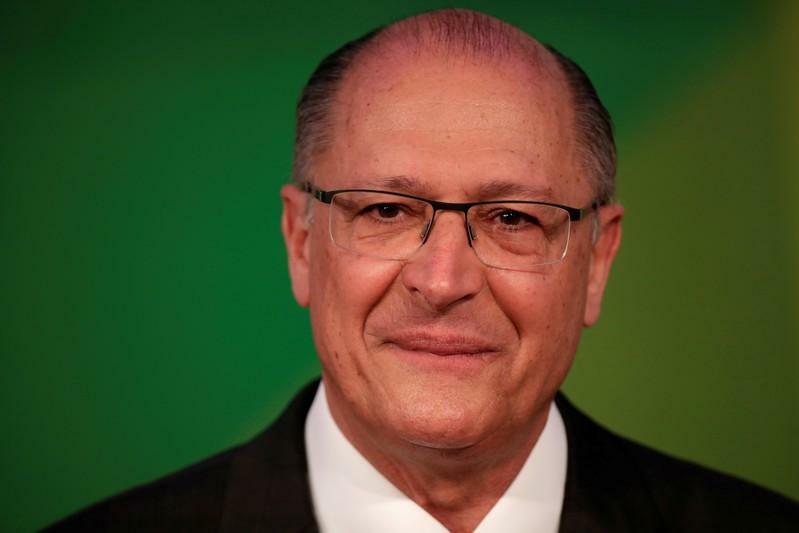 BRASILIA (Reuters) – Brazil’s business-friendly presidential candidate Geraldo Alckmin unveiled a campaign ad against gun violence on Thursday that targeted his far-right pro-gun adversary Jair Bolsonaro. The front-runner for the Oct. 7 election, Bolsonaro advocates easing gun controls to allow Brazilians to own guns and defend themselves from criminals, besides giving police carte blanche to shoot and kill armed suspects. His hardline law-and-order approach has struck a chord with Brazilian voters fed up with a rising wave of violent crime in their cities and widespread corruption among its leaders. Bolsonaro is leading all opinion polls if you exclude jailed former president Luiz Inacio Lula da Silva, who is expected to be barred from running by a graft conviction. An opinion poll published on Thursday by Poder360 political news website showed Lula has 30 percent of voter support followed by Bolsonaro with 21 percent, and Alckmin tied in third place with center-leftist Ciro Gomes and environmentalist Marina Silva. Bolsonaro, who defends Brazil’s 1964-1985 military dictatorship, said on Globo TV on Tuesday that a policeman who kills “10, 15 or 20 (criminals) with 10 or 30 bullets” should be decorated and not put on trial. In a country that had a record 61,000 murders last year, Alckmin hopes his opposition to Bolsonaro’s plan to arm the population will draw a large pool of undecided voters in Brazil’s most uncertain election in decades. Alckmin will drive home that message when election ads are allowed on television during the last 35 days of the campaign starting on Friday. The former four-time governor of Sao Paulo state has put together a nine-party coalition that will allow him more time on television to reach out to voters than all 12 other candidates put together. His poor performance so far in the race has disheartened investors who see Alckmin as the best bet to rein in Brazil’s $40 billion primary budget deficit and restore confidence in Latin America’s largest economy. Concerns over Brazil’s political future weakened the Brazilian currency 1.25 percent on Thursday to 4.16 reais to the dollar, accumulating a 20.4 percent decline this year.